vegan chocolate chip oatmeal cookies Vegans Eat What? 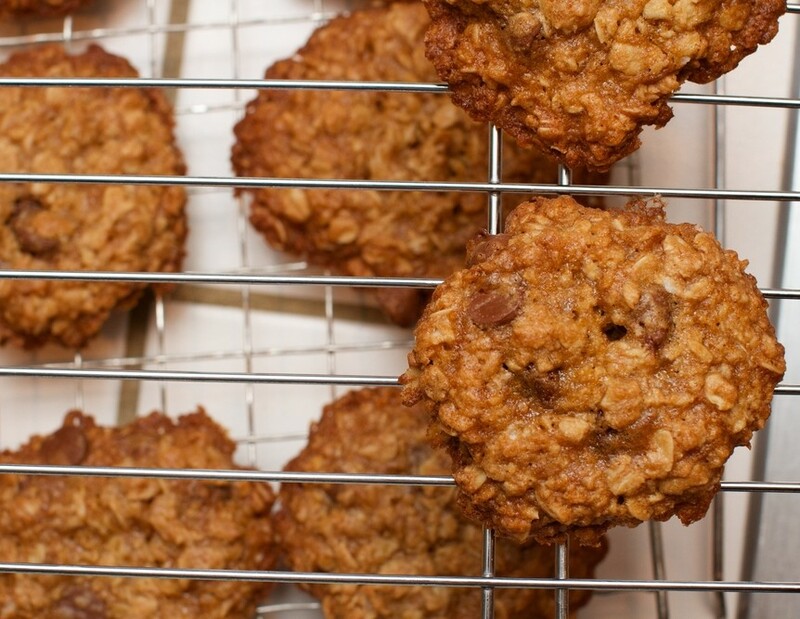 These cookies are chewy, moist and delicious. Adults and kids will devour them! Cream margarine, oil and sugars. Add soymilk and vanilla. Beat until smooth. Beat in flours, baking powder, soda and salt. 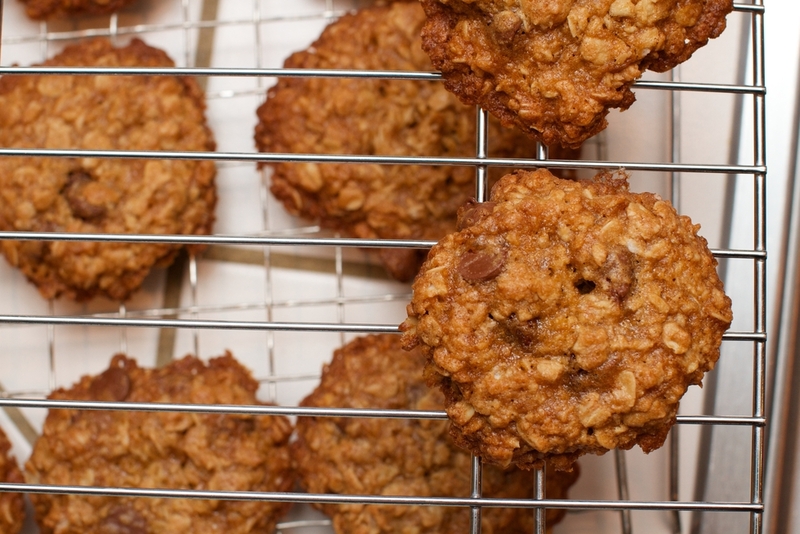 Add oats and chocolate chips or raisins and mix well. Cover and let rest 15 minutes. Pre-heat oven to 350 degrees. Drop by tablespoonfuls, about 1 ½ inches apart, on a lightly oiled cookie sheet. A small ice-cream scoop works very well. Press lumps of dough slightly with the back of a spatula. Bake for 15 minutes or until undersides are just turning brown.